Size: 170mmx170mmx51mm Speed : 2200-3000RPM. Noise : 45to 55dBA. Weight : 880g. Type bearing: sleeve or ball bearing . General specification: Frame and Impeller: Aluminum Alloy Public, UL 94V-0 Lead wires:	UL Type or Equivalent ( + ) : Red ( - ) : Black Operation temperature : -10°C~70°C,35%~85%RH Storage temperature :	-40°C~80°C,35%~85%RH Motor Protection: Impedance Protected; Reverse Polarity Protected; Automatic Restart. Anti-corrosive and moisture proof structure, reinforced plastic or customize design. 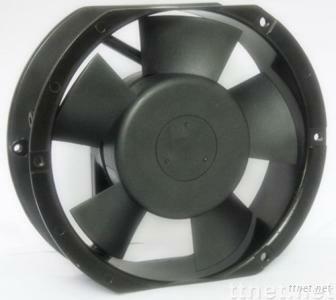 Our DC/AC Fan are available at high performance range, contact us for more details.